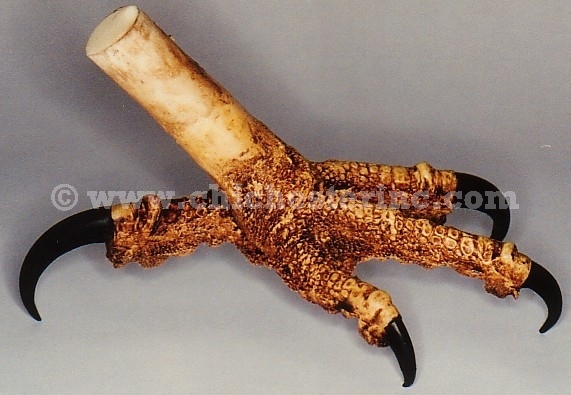 Partially Open Eagle Foot spans 3"
Spread Eagle Foot spans 5.75"
Realistic Eagle Foot with "Feathers" (rabbit fur) spans 3"
These reproduction (i.e., not real) eagle feet are some of the best quality on the market today. They are made using plastic resin and are then hand painted. We currently do not offer matching feet (left and right)--sorry. 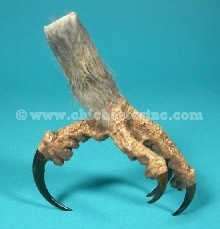 However, our supplier will be able to provide matching feet in the near future. For other related products, click HERE. 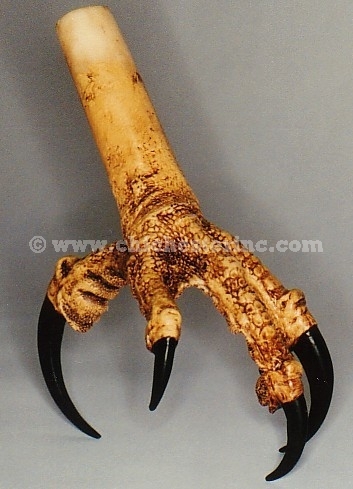 Please note: We are not interested in either buying or selling real eagle feet. The cost to send one or two realistic feet to Canada by Global Express Mail is US$18.25.